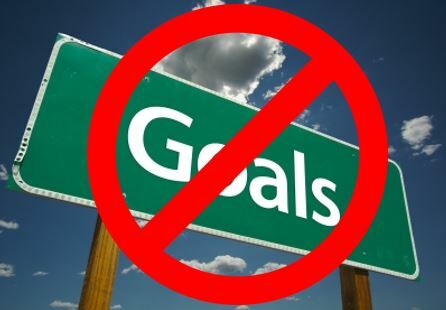 TRUE STORY: The Greater Memphis Chamber does not have goals for or anyone tasked with overseeing small business growth. The former was uncovered in the Greater Memphis Chamber’s testimony before the Shelby County Commission’s Economic Vitality workgroup on Thursday. Isn’t small business what Chambers are all about ??? This is especially concerning as the Chamber has 32 employees with none of them tasked with the work of small business growth which is where most economic growth originates. This occurs while local small business vitality has plummeted for the last 5 years. And further, The Chamber lacks an articulated alignment protocol for workforce development, a policy position on funding public transit and a coherent economic development plan to support local growth after 1 year of planning. What is known, is that the Chamber supports robust and largely unchecked economic development incentives for corporate/real estate interests and government funding for local pet nonprofits. At the same time, it was refreshing to hear, from Chamber testimony, demand concerns for local small business. After all, such demand to increase small business receipts is going to come mostly from the private and not the public sector. 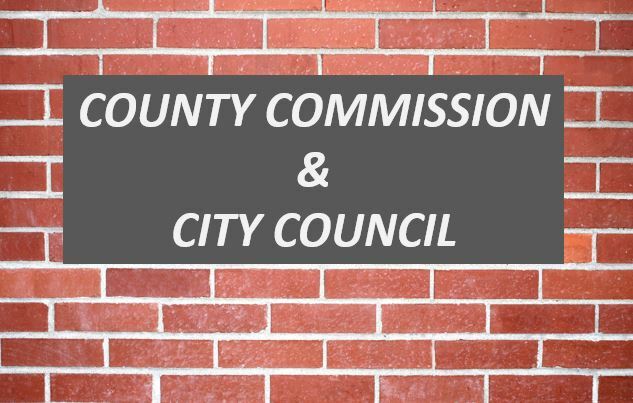 Further, testimony by Shelby County Equal Opportunity Compliance (EOC) officials revealed concerns over corporate/real estate incentives as small business gets left behind. Incentive reform is needed to curtail excessive incentive awards that undermine public resources which support small business as the few at the top prosper. While responsible economic development incentives should continue for industry recruitment and large local expansions such as JNJ, incentive reform should end retention Payment-in-lieu of taxes (PILOTs), residential PILOTs and reserve Tax Increment Financing (TIFs) for truly blighted areas while not relying on census tracts to define such areas. For whatever reason, the Memphis economic development complex never seems to get started with the work of true economic development. With a whole host of initiatives and event pageantry going on at any given time, it seems local economic developers are constantly engaged in seeking funding for or planning the next big thing as opposed to engaging the work of economic development. For example instead of engaging in the economic development activity of promoting ACT WorkKeys for workforce development or a sustained call to action for increasing small business transactions by the private sector, the Chamber is immersed in planning a “workforce summit” for the Fall and a “Memphis First” campaign to support small business. It’s a Planning Juggernaut. 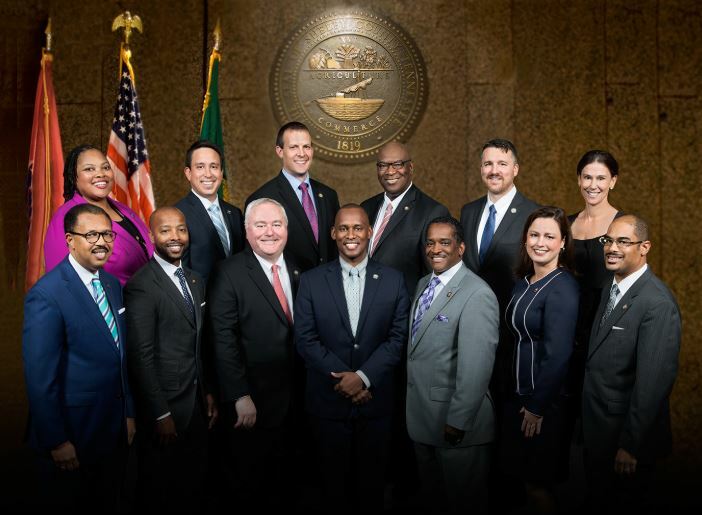 MRYE – Memphis Raise Your Expectations saw this coming and proposed thoughtful research based solutions to local legislators to kickstart the work of economic development. 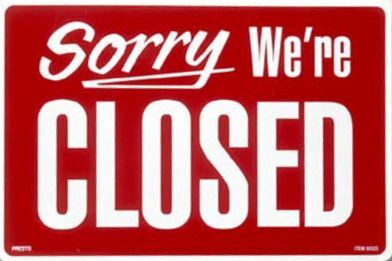 But, that went nowhere as local legislators seem to only schedule and listen to the same parade of organizations and players as the closed system starves out small business and a community in need. The fall in small business vitality corresponds with the initiation of the retention PILOT program which supports corporate/real estate interests and wealth transfers away from a community in need. Couple the former with social obstruction of a closed Memphis Tomorrow business culture and botched workforce development efforts and an ecosystem decline by design framework results. The only way to reverse Memphis economic development trends is for Memphis Royalty to engage those very people and entities that they have shut out for years through economic development policy and social obstruction. That will require Memphis Royalty to seek out small businesses to engage and nurture with transactions. Most of the local small business initiatives focus on supply side business planning assistance, incubators for business funding support and not a demand side call to action for increasing local small business receipts. This demand side omission is a strategic miss. Review vendor lists for remote vendors and replace them with one of these local vendors found in this spreadsheet that contains Memphis City and Shelby County government locally owned small businesses and MWBEs. This step was mentioned in Chamber testimony as part of future campaign plans but needs to start right away. Reversing Memphis small business vitality requires challenging and intentional action by Memphis Royalty and local private sector concerns. It’s the only pathway. Restoring Memphis economic vitality will be heavy lift. It starts with a sense of urgency away from planning, pageantry and listening to the same people. Unfortunately, current economic development thinking involves getting the very same people together bi-monthly, that have been fostering the decline of Memphis economic vitality. This won’t work with efforts burdened with the same thinking and closed culture that has strangled local economic growth. Legislators can help by bringing needed transparency to a closed system, reforming incentives, practicing engaged oversight and demanding results while asking Memphis Tomorrow for $1.5 billion in upfront philanthropic contributions to bring Memphis up to speed with it peers. Without such leadership, Memphis can expect, more of the same……. 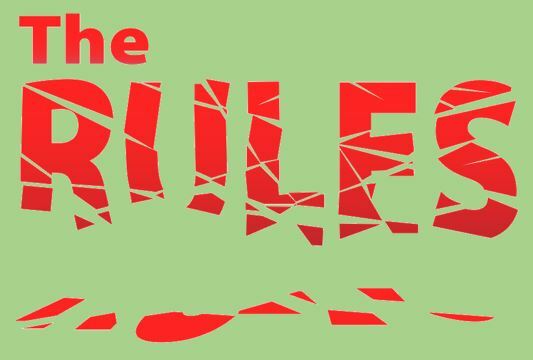 Pigs have no rules and Memphis taxpayers pay for it. The reckless unruly nature of the Memphis Tomorrow corporate community leadership complex would threaten any ecosystem. So hats off to the resiliency of the Memphis people and Shelby County taxpayers. Adding to the Electrolux headlines, a deeper dive into the Electrolux contract (pdf page 55), it can be determined, that EDGE did not follow procedural guidelines when it was discovered that Electrolux had made a $321M capital investment over and above the PILOT approved $195M investment. The Electrolux contract allows for a reasonable 10% in excess capital investment of the originally approved PILOT to remain in compliance which would amount to $19.5M investment over the $195M PILOT approved abatement or a $214.5M capital investment. The EDGE reported $321M capital investment exceeds the allowable threshold by $106.5M and should have triggered increased assessments that would have resulted in increased tax revenue with additional abated or paid in full taxes on the increased capital investment. But who cares about tax revenue ? Certainly not the Memphis Corporate Community Leadership complex ! To include the newly billed increased assessments, its estimated from 2014- 2018 there remains $1.8M in lost abated tax revenue based on EDGE not following rules and if that was unabated and not allowed to fall within the PILOT, the revenue loss is more like $7M. While considering the allowable threshold for 10% and $19.5M increased investment , it appears total real and personal property taxes for Electrolux for their remaining 2019 and 2020 operational years should be approximately $3.3M per year which includes the maximum allowance for personal property depreciation. But, this blog has stated on numerous occasions that Electrolux is small potatoes overall when considering the damage of an overall reckless Memphis corporate community leadership complex. While Electroux will end up costing taxpayers around $30M+ when considering tax revenue from jobs and property taxes, it can be chalked up as a single occurrence bad front end deal that went bad. $8.6 Million in excess abatements when the Downtown Memphis Commission did not follow their guidelines for the FedEx incentive package. The FedEx deal works for taxpayers but it contains 6 years of excess incentives. $1.2M excessive Mark Anthony PILOT award when the EDGE Board neglected to follow the rules of their “Tax Incentive Eligibility Analysis” while losing taxpayers $500K and pocketing $50K in fees. This demonstrates that EDGE Board does not represent taxpayer interests. $100-200M over ten years in direct taxpayer losses from systemically ignoring any basic business rules for projection accounting in the EDGE retention PILOT program as reported on by this blog and the Beacon Center of Tennessee. This is the Shoney big boy locally unreported story by the non-reporting Memphis press. $15M per year for persistent botched workforce development efforts over 4 years rooted in failed grant performance and not following rules of basic course correction away from a Canadian contract award. This is brought to taxpayers by the FedEx/Memphis Tomorrow complex while stifling local small business, a local cultural norm. $47M in taxpayer revenue shortfalls from deficient wage growth while not following the rules of economic development planning and execution while prioritizing corporate/real estate incentives that recorded local wealth transfers as growth. Anyway, the above total is about $75-80M per year with the $8.6M FedEx excess to arrive 16 years down the road. All total, the excesses approach $750M over the next 10 years which imposes a decline by design framework on the Memphis ecosystem with the $8.6M kicker by FedEx to start accruing for 6 years in 16 years. And, at this point, only 2 of the 10 tax abating boards are being scrutinized in the above analysis. This may be only the tip of the iceberg. So what does $75M per year mean for Memphis/Shelby County ? $75M means fully funded adequate public transit, state of the art community centers, connected workforce development and top notch vocational programming, increased funding for public safety and site development for economic development. Try to talk to local legislative bodies about some of this going on and its like talking to that brick wall. Approximately, 9 months ago, the new economic development thought leader in MRYE-Memphis Raise Your Expectations, presented in public comment, a research based framework for economic development that embraced the Amazon Road Map policy pronouncement of the University of Memphis. This advocacy was conducted knowing that a coherent economic development plan that has not existed for years was not going to emerge anytime soon. And, while now, its known that MRYE was right, MRYE might as well have been talking to a brick wall. Its because, in Memphis its a closed Crump system that only considers the same groups of people that have been running the city into the ground for years while dismissing entire segments of the population. This dismission stifles the small business sector and economic growth as corporate/real estate and pet nonprofit interest thrive. After all, the “big idea” for economic development is to reward and get the same cluster of folks in EDGE, DMC, Chamber and elected officials together twice a month. The very group that has recklessly disregarded the rules, not proposed thoughtful economic development policy solutions or practiced needed oversight required to implement the work of true economic development. MRYE promotes a Balance Memphis agenda based largely on the Amazon Road Map that includes incentive reform and responsible tax incentives for remote industry recruitment and large local expansions. For example, at the July 2018 EDGE Board meeting, MRYE representatives spoke out in favor of the JNJ Logistics expansion and against the unneeded Poplar TIF that was justified with a baseless 7,000 job creation claim. Any such pro-business incentive reform advocacy is met with thoughtless “anti-business” labeling of the the local socialistic corporate welfare culture. There’s a rumor that legislative bodies are going to convene some legislative committee to review some of this excessive recklessness but don’t hold your breath. If they do convene, its always softball questions to staff members of the corporate community complex. Just a note to local legislators, these staff members don’t have votes most of the time for many of these rule breaking approvals and excessive incentive awards. Maybe legislators should drag some of these abating board members into legislative chambers for inquiry that moves beyond a game of patty cake. The only pathway for Memphis to rebound is through massive economic development reform and philanthropy to pay taxpayers back for past policy encroachments and excesses of Memphis Royalty while opening up the system and engaging those very people the system has shut out for years. 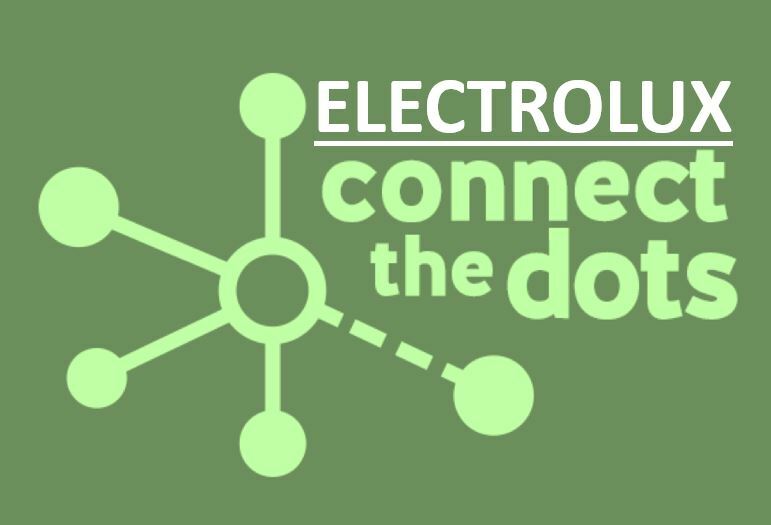 ELECTROLUX – PERSONAL PROPERTY ? This recommendation is right on target because this blog cannot make sense of the disconnected abated tax schedules of IDB/EDGE documentation for Electrolux and the reporting of the Assessor and Trustee. All of which, they both inherited, as newly elected officials. Additionally, this blog in general is designed to add a quantitative context to all or none tax incentive conversations. In the current economic development climate, this blog generally recommends responsible incentives for new industry recruitment, large local expansions of more than 100 jobs while offering incentives for new jobs only and TIFs for truly blighted properties and not based on census tracts. Connect the dots between recent reporting from The Commercial Appeal which reports EDGE rescoring states that Electrolux made a $321M as opposed to a $195M capital investment and the Memphis Business Journal reports an increased real property appraisal from $38.7M to $82.5M. That would leave an additional $238.5M in personal property that needs to be accounted for somehow which would include state allowed depreciation starting from $238.5M amount ($321M – $82.5M = $238.5M). The Trustee report has a range of figures concerning Electrolux under headings of “Assmt Taxes” and “Contract Taxes” but none of them seem to reconcile with the scheduled minimum PILOT payments in the IDB/EDGE documentation that consists of both real and personal property taxes of in Year 1 – $849K, Year 2 – $784K, Year 3 – $723K, Year 4 – $658K and Year 5 – $598K. And that is before considering the increased capital investment report by EDGE from $195M to $321M that would result in $238.5M in personal property that somehow needs to be documented but was announced after the release of the latest Assessor and Trustee reports. The Commercial Appeal reported that Electrolux made a short of $500K in PILOT payments in 2018. That would make Electrolux short $100K on minimum PILOT payments based on IDB/EDGE schedules that amount to almost $600K that preceded any new appraisals or announcement of increased capital investments. Connecting the dots between EDGE documentation and available press reports, the following table is generated to document suspected PILOT payments made by Electrolux as well as new full taxes based on an increased $321M capital investment up from $195M as announced by EDGE. Based on press reports, the below table articulates projected taxes to be received from jobs, PILOT taxes due per EDGE IDB documentation, projected taxes that should have been due based on $321M capital investment under “PILOT fully assessed” and property taxes paid per press reporting. Projected taxpayers losses are documented as well for the Electrolux project based on press reporting and IDB/EDGE documentation. Any questions about the above table, please email jkent@pathtrek.net. Why was Electrolux short on its PILOT payments that already afforded approximately 82.5% in property tax abatements by $100K in 2018 and perhaps other years ? What about documentation for abated personal property taxes from the Assessor ? Why is there not more continuity between scheduled EDGE abatements and the Assessor and Trustee reports ? And finally and respectfully, the Assessor has already stated that he lacks staffing to effectively appraise property. With that admission, the Assessor would not appear to be in a position to effectively evaluate the overall effectiveness or net economic impact of tax incentive programs or to draw the conclusion that “PILOT agreements are NOT overused”. 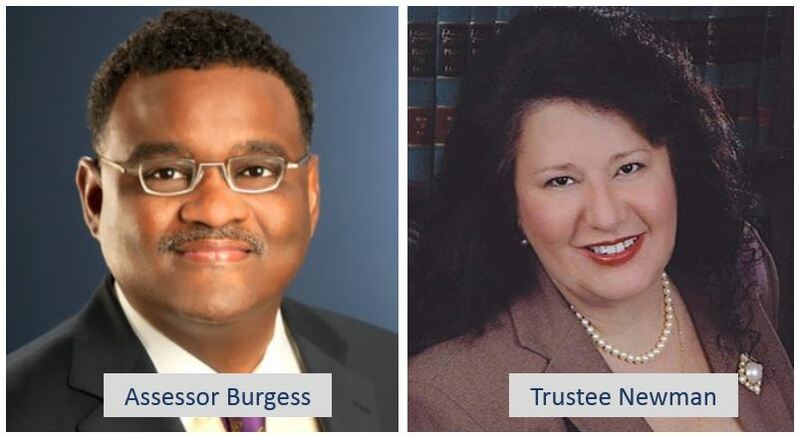 Contained in this blog is the proposal that Commissioner Willie Brooks asked for in Economic Development Committee on 2/20/19. The below defines the problem followed by an implementation solution that contains minimum fundamental components for improved economic development outcomes through a connected workforce development / career pathways system. Disconnected workforce development efforts are resulting in estimated taxpayer shortfalls of $10-15M per year. Disconnected efforts to date are estimated to have cost Memphis/Shelby taxpayers $30M and those cost are now recurring. With 20 years experience in the education and workforce development space, I have participated in a variety of educational initiatives and instructional transformations to include 1) instructional technology implementation 2) starting the credit recovery program in the early 2000’s in Tennessee with the Tennessee Organization of School Superintendents, 3) Mathematics instructional transformations in the states of GA, NC and SC and 4) Connected and demand driven workforce/education programming. There are not many people in the United States that understand the combined work found in data, the technology and the implementation of connected workforce development using a demand driven approach and I am one of those people with a small business right here in Memphis, TN. I have been observing disconnected workforce development over three years in Memphis and have attended or listened to most of the Adhoc/workgroup meetings concerning workforce development. Given this, I would like to discuss a few high level positive and disappointing areas to help focus on the root problem of solving disconnected workforce development through proper alignment between Workforce Investment Network (WIN) and Greater Memphis Alliance for Competitive Workforce (GMACW) with a research-based solution. First are the bright spots. The Greater Memphis Medical Device Consortium (GMMDC) as supported by the MoveHire work of Alan Gumbel of GMACW, is a revolutionary and needed vehicle in workforce and economic development while leveraging true economic momentum in the medical device industry. 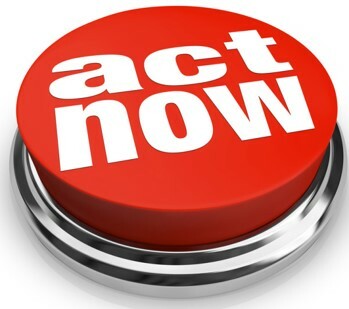 And the Bartlett Chamber is working on the ground to promote the ACT WorkKeys occupational assessment with its National Career Readiness Certificate (NCRC) to address the skills gap and build common language between employers, educators, policymakers and workforce practitioners. Next, having called on workforce development boards throughout the country, while there are always improvement opportunities, the bureaucratic concern related to WIN is universal to Workforce Innovation Opportunity Act (WIOA) and state regulated workforce development agencies throughout the country. And as it relates to all the changes at WIN, I could not sympathize with Ms. Franklin more when she talks about stabilizing WIN in her testimony. WIN, while imperfect, seems to be functioning well considering the circumstances. As far as the root problem of disconnected efforts, that resides with the introduction of GMACW and the lack of widely communicated and clarified role in the workforce development system by Memphis Tomorrow, Chamber and subsequently EDGE. The need for and the concept of GMACW is right on target. But there has been no execution by GMACW in the area of connecting local efforts. The root of the problem does not reside with GMACW staff but with the Memphis Tomorrow, Chamber and EDGE Board complex. These are the very board members that legislative bodies do not question in legislative proceedings. If County Commissioners were to examine the GMACW grant documentation, they would see that GMACW was to be the data aggregator and high-level connector for the workforce development system. GMACW was to do this while operating initially as a Chamber Chairman’s Circle initiative by aligning the educational system with employer demand while getting leads from WIN for enrollment in the post-secondary education system. Where both WIN and GMACW overlap with unclear roles is with educational institutions and employers. This overlap will be addressed below in the proposed solution while leveraging the intended roles of both WIN and GMACW. EDGE later took over GMACW and the Board did not hold regular board meetings over a 2-year period, which further documents the problem at the board level, as 60K students went without connected workforce development services. This disservice came on back of a Canadian contract award and vendor that lacked a track record of experience with the United States workforce development system while partnering with Tech-Hire, which was a federal grant, to support increasing technology jobs for the United States domestic citizenry. The Pathtrek process provides technical assistance and is an open tool platform that delivers process support for connecting workforce development efforts while implementing career pathways. “Career pathways” is just another term that broadly defines “curriculum” sequenced in pursuit of a career goal. More technically, career pathways can be defined as a hierarchy of 16 career clusters that relate to 72 career pathways which then relate to 1000s of educational / training programs that are linked to over 800 occupations. The Pathtrek process embraces research to connect workforce/career pathways efforts while systemically leveraging three broad areas of data/marketing, curriculum and professional development to address the skills gap, align efforts and promote local career opportunities. Given the open process, when a brand name like “ACT WorkKeys” or “Indeed” is used in the following, it serves only as an example with alternative tools available for implementation use. Connecting technology for cost effective career navigation and planning, job listings, marketing, promotion and workforce pipeline measurement. Professional Development – Stakeholder training for professionally diverse audiences while facilitating common development for connected workforce development and career pathways implementation. This work gets everyone on the same page regarding workforce development in support of economic development efforts. Clear Organizational Alignment – Based on current mandates, intended roles, Commission testimony and the need to create clear lanes, WIN, while working with partners, should focus on adult job seekers while interacting with employers to fill jobs, student career awareness and planning and increasing post-secondary enrollment. GMACW should serve as the authoritative supply/demand data publisher and instructional design facilitator through industry councils while spearheading supplemental funding support and grant development for the workforce development system. When WIN and GMACW coexist in an area, a lead should be designated with the other in a supporting role. Establishing clear lanes will eliminate confusion and overlap in the workforce development space. Shelby County Government under the leadership of the Shelby County Mayor’s office should lead connected workforce development efforts. Supply Demand Data – GMACW would be the aggregator of workforce supply demand trend data unless determined otherwise while leveraging current direct oversight by the County Commission as an EDGE entity. Currently, there is no widely known and promoted aggregated workforce supply/demand data from which local policymakers are making decisions. The source data that that is used in the Pathrek process for cost effectiveness, comes from public domain authoritative sources in Bureau of Labor and Statistics, Jobs4TN, Occupational Information Network (O*NET) and United States Department of Education. The leveraging and mastery of these data sets is fundamental in establishing baseline data before resorting to any other surveys or data collection efforts. In Memphis, given the lack of published data, these fundamental baseline data sets in the public domain have not been leveraged, locally distributed, marketed, promoted or mastered to locally inform workforce development and instructional design efforts. At a minimum, these authoritative baseline data sets should be routinely published, updated and distributed while serving as a starting point for data informed workforce development decision-making. The authoritative data from the public domain is not an end all solution but serves as a starting point for demand and data driven conversations with further data collection, as needed, to enhance existing data sets, decision-making and system implementation. Employer demand data should be used to inform the academic curriculum for all learners and post-secondary program offerings while facilitating common language development between professionally diverse stakeholders in support of connected workforce development programming. Currently, I am doing work with labor market information that I have not seen done anywhere. That’s not to say it can’t be done. I just have not seen it. Additionally, there are a range of options by which this data can be communicated through various web platforms but the following serves only as a small and partial data sampling for download and printing. Research Base – A research base serves as a technical document to inform connected workforce development efforts and career pathways implementation across the educational and workforce development system. A published research base does not currently exist to support the work of connected workforce development programming and instructional design. The following research base integrates convergent references from business, education, workforce and career development theorists to inform system design. For example, constructivist learning theory and the career development theory of “story” drive the recommended implementation of career portfolios. See the following research base which can be evolved and improved based on local needs. Occupational Assessment Platform – Currently, the Bartlett Chamber is leading Shelby County ACT WorkKeys promotion as an occupationally aligned assessment per on the record testimony in the Commission Economic Vitality workgroup by John Churchill. Unfortunately, while the Strickland Administration endorsed ACT WorkKeys in 2016, Shelby County has not reached its ACT Workready Community goals while surrounding counties have. The Greater Memphis Chamber has never seemed to promote ACT WorkKeys for some reason. While there are acceptable alternatives to ACT WorkKeys and its companion NCRC, WorkKeys is the most widely used occupational assessment in the country. ACT WorkKeys is a highly credible product but often fails throughout the country due to a lack of local stakeholder promotion. An occupationally aligned assessment platform, such as WorkKeys, helps to market the community for economic development purposes based on quantifiable workforce readiness measurement while closing the skills gap. In addition to standardized occupational assessments, other diagnostic assessments, which are not scored, are used to inform career exploration and include interests and workplace preference assessments which become part of a completed career portfolio for participants. See ACT WorkKeys Data and also a this Gwen Ifill 8 minute PBS video that explains ACT WorkKeys. Connecting Technology – Centralized technology efficiently connects efforts for the purpose of articulating supply / demand workforce trend data, promoting job openings and for career exploration, navigation and planning, Per Commissioner Willie Brooks concern, an authoritative centralized job board would market job opportunities for employers and to applicants through the use of technology. To that extent, in the current environment, Jobs4TN is mandated by the State for WIN to use. Jobs4TN was originally designed as a case management system for dislocated workers while housing workforce trend data. The limitations are that for many audiences, to include students, the platform is not engaging or user friendly. At the same time, I personally use Jobs4TN as my raw baseline authoritative data source for local occupational projections in Tennessee. Given these limitations, a centralized commercial job board, such as “Indeed”, needs to be selected that will minimize employer implementation costs since many already use a commercial job board such as Indeed. A commercial job board promotes and advertises Memphis job openings locally, regionally and nationally appearing high in search results to attract population to the area. Further, the selected job board should be connected to an engaging career navigation platform to support educational career pathways planning and to retain and develop talent while increasing post-secondary completion rates. In this way, local career opportunities are being marketed with career promotion and planning seamlessly integrated into the standards-based curriculum for all learners and optionally for adult programs such as drug court and re-entry while being shaped by employer demand data. The output of such a program would look something like this for a student or adult in the form of a career portfolio. Career portfolios are sometimes referred to as career plans, transition plans or individual learning plans (ILPs). Through this process, students, parents and participants in non-traditional programs learn about a range of in demand career pathways and post-secondary opportunities aligned to their interests and preferences that may involve a job opportunity, apprenticeship, post-secondary certificate, associate’s degree, bachelor’s degree or graduate degree. To see a video on career navigation based on true employer demand, please review this Success in the New Economy 8-minute video. And finally, through this process, educators learn the language of careers by teaching through the lens of employer skills and knowledge demand data. By teaching standards aligned career content, educators learn the language of the business workplace that until now has not been afforded to them. After all, most educators’ career path consisted of going to school, going to college and going to school to work. Through this process educators, build confidence in talking about careers thereby becoming key advocates in serving economic development efforts. Kick Off Meeting – Community wide ½ day kickoff meetings help to create awareness of career pathways and the regional economy. These meetings help participants to begin using a common language of careers in support of regional workforce and economic development efforts. 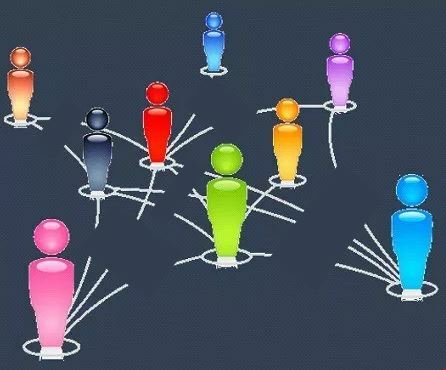 Typically, kickoff meeting participants include all stakeholders from business, education, workforce and government such as executive administrators, building administrators, human resource professionals, counselors, instructors and parents. Career Content Academy – Following the ½ day kick off, administrators depart and service delivery personnel continue on with a “Career Content Academy”, which is a minimum 3-day session. The career content academy immerses participants into the student and job seeker work of career development in self-exploration, career exploration and career pathways planning as well as program administration. Career content academies help educators fill the workplace knowledge gap by helping them develop the language of careers and classroom implementation strategies while helping participants outside of education to develop an understanding of the education workplace and academic language. This collaborative approach strengthens communication through common language and partnership development. Typically, career content academy participants include human resource professionals, workforce and education career counselors and instructors. The former helps support a deep implementation of career pathways into daily instructional practice while building community partnerships in support of regional career pathways and economic growth. Online -And finally, follow up onsite coaching and online training tutorials would be available for post training support and training in general. Memphis has an opportunity here and could think “big” with a Nation Leading Career Education initiative which would go to address the skills gap while marketing Memphis nationally for economic development. At any rate, its time to get started after 4 years with connected workforce development. Waiting until the Fall for another Chamber pageantry event, would not seem to be an option…. Just a quick note before getting started. I think that picture of Beverly Roberston pops on my website. Maybe she will be featured regularly ! Anyway…. No one is really talking about the elimination of tax incentives for industry recruitment and meaningful local business expansion. In fact, it’s the belief of this blog, that while Mayor Harris laid down a needed political marker, he doesn’t practically believe in the end to all incentives. All too often, those that are for incentive reform are labeled as anti-business which could not be further from the truth. The fact is that excessive incentives undermine the societal foundation on which commerce thrives and are therefore bad for business. 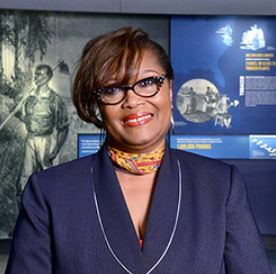 The Greater Memphis Chamber’s Beverly Roberston’s Daily Memphian opinion piece and Mayor Harris’s political marker both avoid the question of needed incentive reform and more importantly the establishment of a platform for a massive philanthropic ask for socialistic corporate welfare excesses afforded through so called “economic development” incentives. It’s true, per Roberston’s piece, that elected officials don’t technically understand incentives which creates problems for critical incentive evaluation and reform. And the press has been wholly ineffective in covering incentives because they don’t understand them either or they are trying to protect Memphis Royalty from being exposed for their excesses that have fed on the taxpayer and a community in need. This blog is about measuring the effectiveness of the FedEx/ Memphis Tomorrow corporate community leadership complex and quantitatively educating the public on such matters. The incentive discussion is most often all or none and without effective quantitative context which this blog will address and consistently addresses with regard to public-private initiatives while proposing solutions. The big untold stories in the press related to incentives are 1) critical evaluation of the EDGE retention PILOT program which also affords a critical evaluation of EDGE overall making the Electrolux story a nothingburger 2) Rules not being followed in for example the recent ridiculous Mark Anthony PILOT award or minimum payments not being collected from Electrolux per the published schedule even after the huge abatement and 3) the lack of scheduling for the review of 9 other abating boards per Shelby County Commission resolution. Roberston’s column identifies examples of three PILOTs in Mimeo, Indigo Ag and FedEx Logistics that can be defended as responsible incentives although the FedEx incentive was arguably excessive overall while still benefitting taxpayer. And there are other incentives that can be defended. Reid Dulberger in public hearings will often cite Evergreen and WM Barr. But citing those incentives, tells only part of the story of an excessive socialistic corporate welfare culture that has undermined true economic development in public safety, transit, workforce and small business development. And besides Memphis 3.0 identified small business and workforce development as the keys to economic growth while referencing a decrease in industry relocations. The only way out of the economic development conundrum is for Memphis corporate royalty to engage those people and small businesses that they have shut out for years through policy and closed Crump culture obstruction as found in the FedEx/Memphis Tomorrow economic development product. Incentive reform provides that pathway which indirectly results in incentives for small business that depend on public resources for their success. Robertson knows that the Crump era FedEx/Memphis Tomorrow complex has stifled local small business solutions over 4 years to connect local workforce development efforts on the back of a Canadian contract award costing taxpayers $10-15M per year. 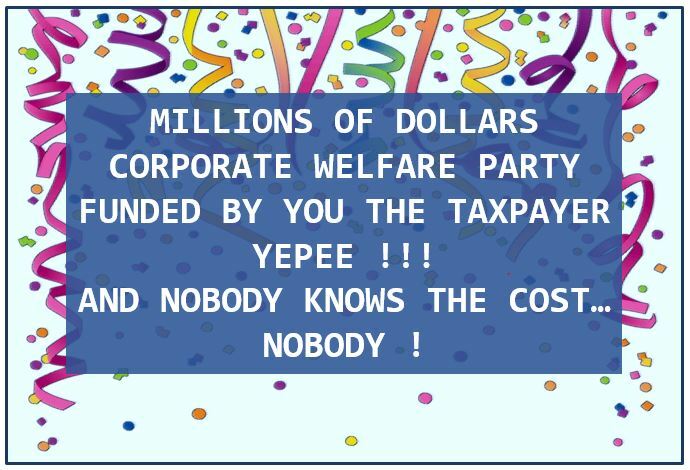 This results in legislators currently working blindly to connect workforce development efforts while not engaging the work on the ground and punting to yet another pageantry event in a “workforce summit” as corporate welfare roars. Whatever…..
Socialistic corporate welfare imposes capitalism on small business as Memphis Royalty enjoys the benefits of taxpayer funded socialism. Again, no one is calling for the end of all incentives but incentive reform is needed which requires critical evaluation. Like the findings of this blog related to the EDGE retention PILOT program, the local Memphis press has yet to cover the Beacon Center of Tennessee Report involving the incomplete and bogus accounting of the EDGE retention PILOT program that was used to justify excessive wealth transfers from a community in need to local corporate/real estate interests. Unlike Electrolux, which was a significant but unfortunate loss, the retention PILOT program over an 8-year period is systemic and deliberate in imposing excess wealth transfers on Memphis/Shelby taxpayers. A retention PILOT abates taxes for an existing business for existing jobs to keep operations in Memphis/Shelby County while allowing real estate investors to lock in long term leases while using bogus incomplete accounting to justify the PILOT award. Its indefensible projection accounting that could not be defended by Fred Smith, Pitt Hyde or Warren Buffett on their best day. With, in a sense, collaboratively competing evaluation models, both this blog in MCCLM and Beacon evaluation models reveal incomplete projection accounting which has gone to justify excessive tax abatements. The MCCLM model uses a probability model and considers lost economic impact opportunity costs of public investments while Beacon uses a model to evaluate the net impact of new revenue as afforded by the tax incentive. Unlike the incomplete bogus EDGE projection accounting, The MCCLM method fully accounts for 1) some probability of retention without a retention PILOT but with an expansion PILOT thus allowing the corporation to avoid massive relocation costs 2) economic impact of remaining workforce should a company depart and 3) economic impact lost opportunity costs that come as a result of the retention component of the abatement. 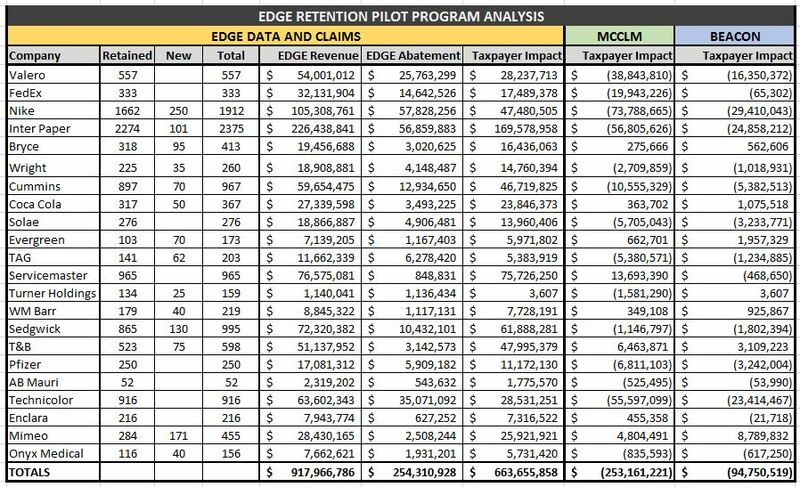 Adjusting EDGE revenue accordingly, the MCCLM method finds that the entire EDGE PILOT program, to include expansion PILOTs, is operating at a $115M projected taxpayer loss and the Beacon method finds $43 gain. EDGE claims a $802M gain. As the EDGE Scorecard, in this case, has been rendered a useless piece of propaganda, a new EDGE Board is needed and away from the Crump Machine tactic of the same people at the table as championed by Richard Smith. The same people at the table is just another example of the FedEx/Memphis Tomorrow economic development product and closed system in the midst of sluggish economic growth results. End retention PILOTs and abating taxes against the existing tax base. Retention PILOTs create a moral hazard while making true economic development efforts lazy. Again, no one is for the end to all incentives in the current economic development climate. But a new EDGE Board is needed after 8 years and incentive reform is paramount. The only way out of the Memphis economic development conundrum is by engaging the work of true economic development as opposed to masquerading incentive awards as economic growth. This will involve huge philanthropic contributions by Memphis Royalty to pay the taxpayer back for excessive socialistic corporate welfare policy encroachments and to engage those very people and small businesses that they have shut out for years. Per Evanoff, Electrolux may only be a bump in the road. Electrolux is only a bump in the road when compared to the cultural restraints of the closed FedEx/Memphis Tomorrow governed economic development complex that has successfully stifled economic growth for years. The closed system even culturally permeates local legislative bodies where, now, public proceedings regarding workforce development (Workforce Ad Hoc) have apparently been taken off the public calendar while morphing into “workgroups” that are not publicly promoted on the County Calendar. 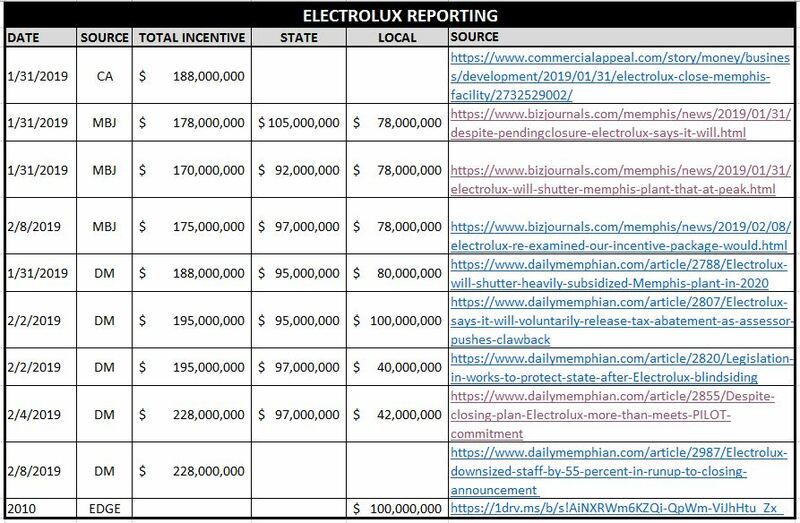 Electrolux is just the tip of the iceberg in a long list of overused and excessive 1 sided corporate/real estate deals to the disfavor of the Memphis/Shelby taxpayer. Supported by the rhetorical mantra of “economic opportunity for all’ corporate/real estate interests of the FedEx/Memphis Tomorrow complex choke off growth and vitality for a Memphis community in need. From the top, the Memphis ecosystem is designed to decline through the implementation of 1 sided corporate/real estate deals as true economic development efforts that benefit all in public transit, workforce, small business and site development are dismissed in favor of excessive corporate/real estate incentives for the small few. Connected workforce development efforts have been obstructed over four years by the FedEx/Memphis Tomorrow economic development complex on the back of a foreign contract award at an estimated recurring annual taxpayer shortfall of $10-15M. While the unfortunate Electrolux outcome gets the headlines, the big untold story is the systemic design of ecosystem decline by the FedEx/Memphis Tomorrow complex that dismisses entire population segments for the benefit of the small few. Both technical and cultural underpinnings of the economic development system, result in a closed rigged Crump system of the 1940’s that does not course correct for community benefit while using federal, state and local tax dollars. The founders of both FedEx and Memphis Tomorrow were raised during the times of the closed Crump Machine. A closed rigged culture still persists in Memphis which smothers economic progress. The lack of course correction, non-reporting press and legislative oversight underwrite the rigged condition – as the Crump Machine like Memphis Corporate Community Leadership complex that consists of FedEx/Memphis Tomorrow, Chamber and EDGE goes largely unchecked in the work of economic development. The lack of course correction by the corporate elite in favor of decline is what proves a rigged state of affairs in Memphis while preserving at all cost the same social construct of economic development players. At the same time, if 1 sided corporate/real estate deals worked for the benefit of the Memphis ecosystem, it would show up in the data. The following sections will discuss 1 sided corporate/real estate deals, dismissed economic development work to the detriment of all and the outcome data associated with those choices. Electrolux deal resulted in $188M in total incentives and $100M in local incentives that did not protect the taxpayer. EDGE retention PILOT program that went unchecked over 8 years abating taxes 20 local operations while using incomplete bogus accounting to justify excessive incentives against the existing tax base. EDGE realizes existing revenue as a $600M gain while abating taxes against existing revenue. In reality, abating taxes against existing revenue results in an estimated $200M taxpayer loss when complete accounting is applied. The Beacon Report of Tennessee also provides a reference regarding this bogus practice that goes unreported by the local press and unchecked by local legislative bodies. Epicenter nonprofit request of a $20M investment of local government pension funds as FedEx invests $10M. Given the size of FedEx’s $24B pension fund, the appropriate FedEx investment would be $144M. This is an example of a 1 sided corporate deal that threatened to raise the risk profile of government retirement fund by an inordinate amount compared to raising the risk profile of the FedEx retirement pension fund. The FedEx/Memphis Tomorrow complex has traditionally supported a web of nonprofits while the local business culture does not support transacting with small business. The Epicenter ask comes before even a simple ad campaign that would advocate for local small business support. Residential PILOTS that are only permitted in Shelby County in all of the State of Tennessee, when locally implemented by EDGE, allowed developers to benefit nearly twice as much as Memphis/Shelby taxpayers from residential PILOTs while walking away with $19M in abatements. That is $19M more than developers would have received in any of the other 94 counties in the State of Tennessee. At any rate, it seems Memphis/Shelby taxpayers should have benefitted as much as the developers. Poplar TIF – Awarded tax increment financing to the most affluent area of the City on the baseless claim that it would create 7,000 jobs. Mark Anthony EDGE PILOT, approved in November 2018, that abates $2M in existing taxes resulting in a $500K taxpayer loss as EDGE rewards themselves with $51K in fees. This shows that EDGE is incented to conduct transactions for the company while not representing the taxpayer. Close examination of the project summary reveals that the EDGE Board did not follow their own rules by applying the “Tax Incentive Eligibility Analysis” which would have resulted in the $2.3M total abatement being reduced by $1.2M. One sided corporate/real estate deals are a hallmark of the closed FedEx/Memphis Tomorrow economic development complex which leave Memphis further behind in a global economy that is largely cradled in Memphis, Tennessee. The deficient Memphis Corporate Community Leadership complex dismisses entire Memphis population segments by neglecting the following core areas of economic development which hurts the overall business community to include small business. Lack of advocated Memphis Corporate Community Leadership funding solution for adequate transit, 2 years following the release of the Transit Study that identified lack of funding as the primary obstacle to adequate public transit. Dismissed taxpayer funded economic development work when accompanied by 1 sided corporate/real estate deals is a design for decline. If 1 sided corporate/real estate deals and the dismission of entire population segments through neglected economic development worked, then it would show up in the outcome data. The following shows the impact of deficient economic development policy and work on a Memphis community in need. The below chart shows Memphis/Shelby percentage total wage growth compared to the average of Shelby County peers. Shelby County total wages paid growth rate trails the average of its peers by approximately 7% with 21.15% total wage growth since 2010-17. Shelby County peers had an average growth rate of 28.18%. Had Shelby County had average growth of 28.18% total wages paid would have been $1.57B higher annually in Shelby County with Memphis and Shelby County tax revenue being approximately $47M higher on a recurring annual basis than it is today. The tax shortfall is derived by using calculations informed by EDGE. 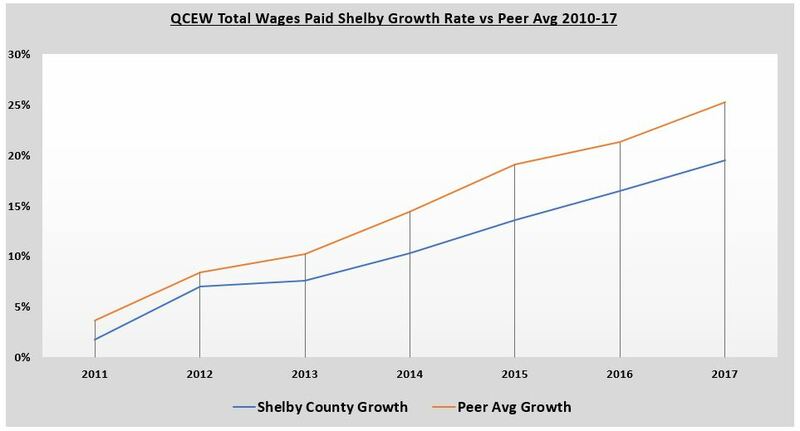 The graph below shows the gap between Shelby County’s total wage growth rate and the average of its peers accelerating at a rate of 1% which equates to approximately $250M in total wage deficiency and $7.5M in additional tax revenue shortfalls per year. The data is sourced from the Bureau of Labor and Statistics Quarterly Census of Employment Wages. 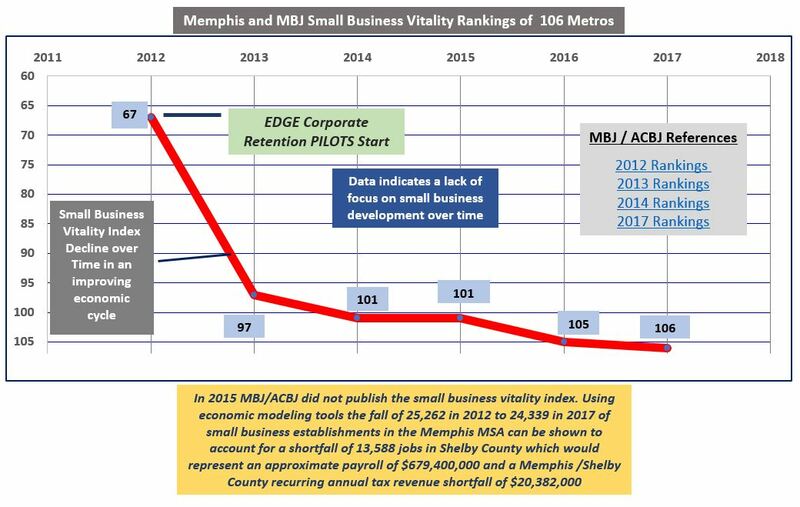 The below graph shows the impact of 1 sided corporate deals and dismissed economic development on the small business sector using the small business vitality index of the American Cities Business Journal who is the parent of the Memphis Business Journal. A small business vitality index was not published in 2015 so the 101 ranking of 2014 was assumed. This trend line graph is concerning because typically local economic growth comes mostly from small business. Local small business is less likely to demand tax incentives while further diversifying the local economy. In this Good Jobs First – Small Business study, small business believes excessive incentive programs strain the tax base and compromise community wide services that support small business growth. The following ACBJ links provide the data sources for the below graph with the 2016 rankings contained in the 2017 rankings link: 2012 Rankings 2013 Rankings 2014 Rankings 2017 Rankings. Given the outcome data and in comparison to Memphis/Shelby peers, Electrolux is just a bump in the road when compared to the closed economic development system of Memphis that favors the small few over economic growth for all. Small business and workforce development appear to be the primary challenges which will require culture change from the top to realize the potential of Memphis for the benefit of customer taxpayers. In the meantime, Memphis/Shelby taxpayers are saddled with the same closed social construct of economic developers that starve out small business, obstruct needed workforce development services and kick members out of the Greater Memphis Chamber without cause while rhetorically championing “economic opportunity for all”. The former occurs as economic development efforts seem to strangely revolve around endless planning efforts, sloganism and pageantry while being divorced from any type of data supported reality. Sadly, culture change will only occur with the support of activism that questions the status quo. This will not sit well with the FedEx/Memphis Tomorrow complex that, on balance, demands positivity regarding the past, which dodges accountability, while asking taxpayers to trust them with their tax dollars for a better tomorrow while having consistently delivered deficient results….